As world urbanization continues to grow - the total population expected to double by 2050, major cities have become a magnet for talent and a driver of economic growth. While this opens up significant opportunities, it also creates many challenges to be addressed including unemployment and crime demand solution, the need for energy efficiency is becoming urgent, increasing population puts higher pressure on the urban infrastructure and public authorities need to do more with less permanently. As a consequence, urban areas transform into smart cities. The mission of a smart city is to integrate information and communication technologies (ICT) into the urban infrastructures to be able to improve the efficiency of key fields such as government services, transport, traffic management, energy, healthcare, water and waste in order to create a safer, more sustainable and better connected city. The Internet of Things (IoT) refers to the massive use of advanced sensors and wireless communication in all kinds of physical objects.  The wide-scale use of sensor technology creates massive volumes of data providing a fine-grained digital view of the physical world. This data can be used by a cloud-based platform that optimize the use of infrastructure, natural resources and enhances communications between citizens, governments and local businesses. In addition to networks, smart cities require massive use of sensors. The challenge for the city is to manage standards and protocols to establish a homogeneous well architecture environment. However, sensors alone are not sufficient. A city needs a mature software IoT platform to manage the sensors, deliver communications and receive and process data to generate value-added services. 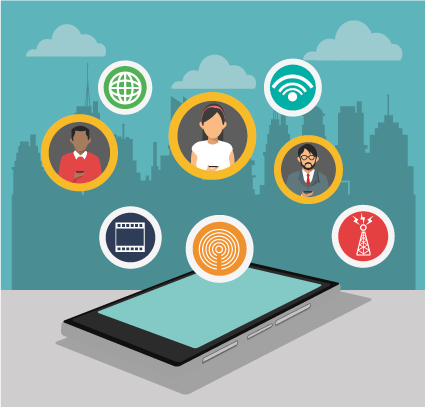 Beacons and geofences are the latest technology in proximity-based services. 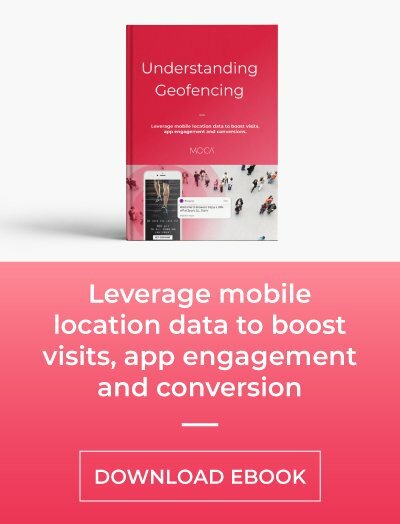 Beacons provide better information in indoor locations while geofencing is a better option for outdoor locations. To make cities smarter, it is needed an infrastructure designed to create micro-located and personalized services. And this is where beacons play an important role. Cities could create a beacon network for all the urban facilities to collect and send data back to a centralized cloud-based platform. Proximity data provides crucial insights on users’ interactions with mobile devices and the context of it, allowing everything from governments, local businesses and other stakeholders to better understand the citizen behaviour, which increases the chance of anticipating their needs, improving communications and increasing quality life. Application of Smart Solutions will enable cities to use technology, information, and data to improve infrastructure and services. Comprehensive development in this way will improve quality of life, create employment and enhance incomes for all, especially for poor and the disadvantaged people, transforming smart cities to inclusive cities. Let us understand this using some examples. Bloomberg: The Edge, in Amsterdam, is not only the greenest office building in the world but also the most connected one. It is a living lab for innovative applications of the Internet Of Things in office environments. The building has a floor space of 40.000 m2, houses 2.500 people and is equipped with 30.000 sensors. The majority of these are integrated into a revolutionary new lighting system consisting of 6.000 luminaires. The LED lighting is connected via Ethernet cables only, providing both Power over Ethernet and IP network connection. Each luminaire has its unique IP-address and is equipped with sensors for infrared, ambient light, temperature and humidity. Smart apps can be used to define personal preferences for temperature and lighting. When the sensors detect a user, the lighting and cooling at that spot is automatically adjusted. During the day the sensors detect the intensity with which each part of the building is used. At the end of the day, this data is visualized in a heat map used by the cleaning staff to focus on areas that have been used most. Next, to the thousands of sensors in the smart ceiling, sensors are used in all kind of objects, such as coffee machines and towel dispensers. The data that is generated by these objects is used by facility services to refill just in time. All smart solutions contribute to energy efficiency, security, and convenience. 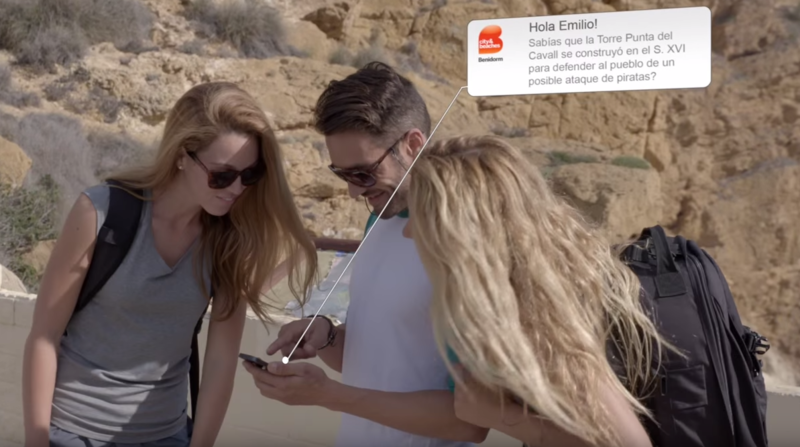 Using the Visit Benidorm app and proximity marketing, visitors can receive context-aware mobile experiences during their stay by allowing them to bookmark attractions before their visit and receive alerts when they are in proximity of one. The city also generates new revenue opportunities for local businesses like hotels, restaurants, etc, by delivering personalized recommendations based on user behaviour and location. In order to become a smart destination, the Foundation Visit Benidorm has incorporated a new network of beacons throughout the city. The beacons were placed in “strategic points” of the urban and natural environment of Benidorm, such as the Serra Gelada, the old town and the beaches. In this way, depending on the tourist location and profile (age, gender, visited places, country, language, etc), information about culture, nature, beaches, history, sports, events and leisure are displayed. As many travelers arrive in cities without internet connection, the experiences are delivered offline using beacons as triggers. This way, tourists simply need to activate Bluetooth to be able to receive the information. This amazing success case shows you how location technology and analytics can be used to improve citizens’ lives. As an important traffic junction, Zutphen is also working on making the city even more beautiful and smart. Until July 2018 there will be, among other things, extensive work on the infrastructure maintenance of IJsselkade and the Oude IJsselbrug. 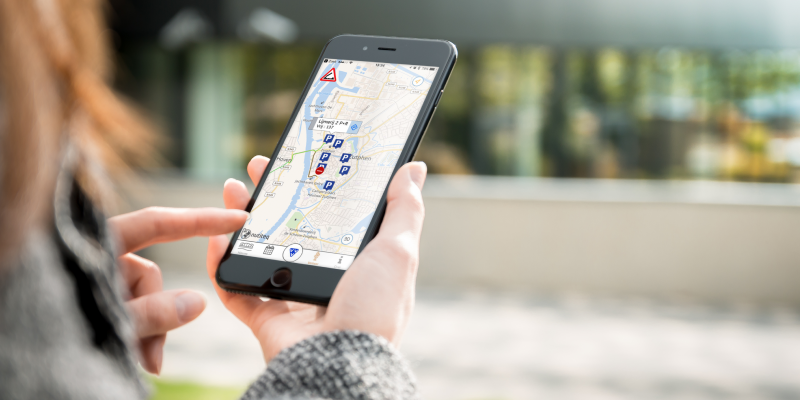 This work has consequences for the accessibility of the city, so in order to improve the quality of life of its citizens, the location-aware app informs people about current traffic. For instance, a citizen that is driving in the proximity of the working area is alerted via mobile app to take an alternative route. With this app, you’ll always see the road closures and what alternatives you have. Also, you get a picture of the parking locations at a glance and it gives you the latest news about the IJsselkade, the Oude IJssel bridge and other projects of River in the City. The InZutphen app was developed to help people to minimize inconveniences, guide traffic properly and inform people about events and activities of the city. It provides citizens and tourists a new way to experience the city, making it smarter and interactive. Columbus recently went on to become the first Beacon City Project in the U.S. by activating a beacon network of more than 1000 beacons around the city. In addition to its commercial, academic and non-profit applications, the beacon network offers a public safety feature, especially for users along the Chattahoochee Riverwalk. As a part of its Safe City program, a total of 37 beacons have been mounted along the Riverwalk to make it easy for city police to zero-down on the location of any user who happens to call 911 from the remote areas of Riverwalk. 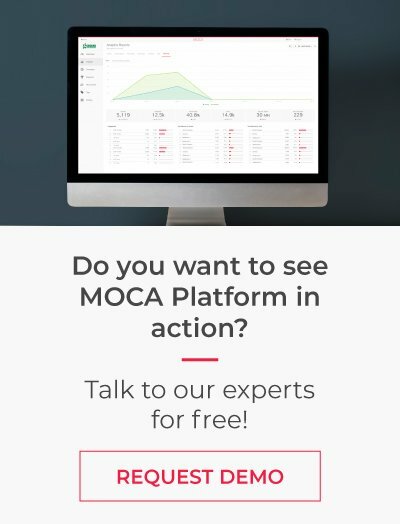 Users who have downloaded the app will receive the nearest beacon number which in turn allow them to report suspicious or non-emergency activity by dialing 911 from the app itself. 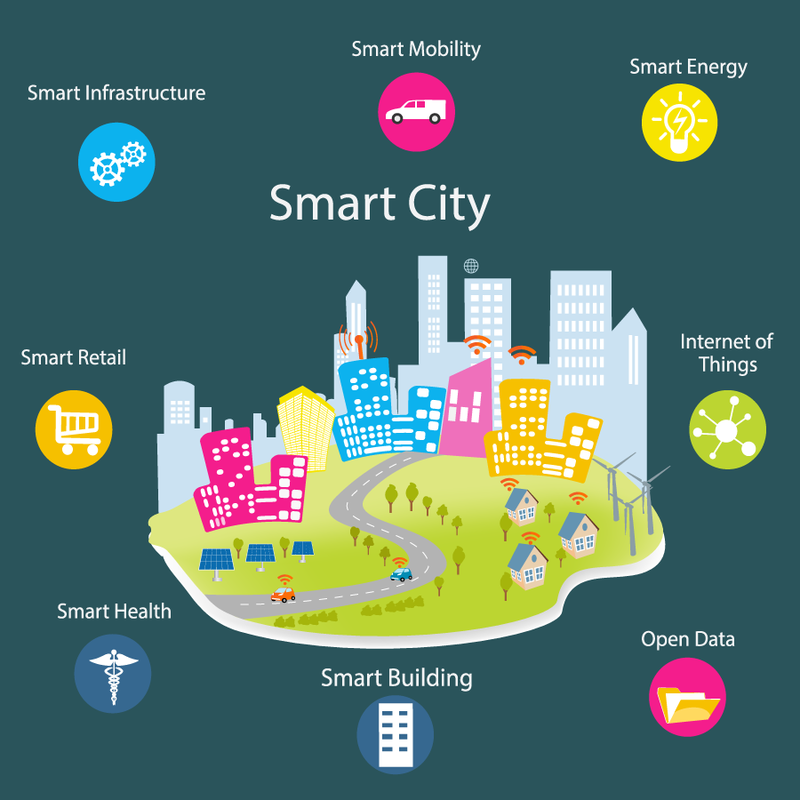 Are there any other interesting smart city project using IoT technology that we missed out on? Let us know in the comments below.